Over the last several years, a considerable percentage of my continuing education endeavours have come from the likes of Craig Liebenson, Gray Cook and Pavel Kolar. To many of you, this is no secret. 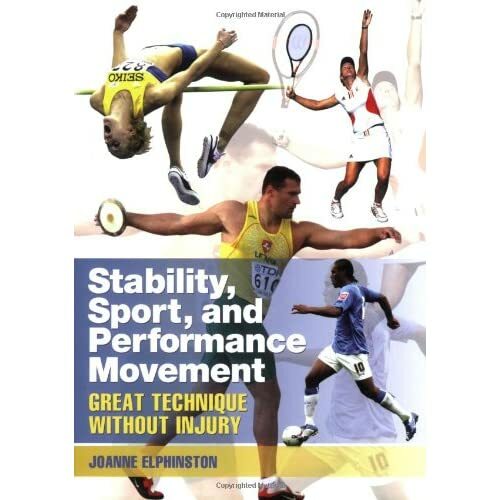 And although I will often recommend "Rehabilitation of the Spine" and "Movement" to those asking for resources where further knowledge into the functional approach to rehabilitative exercise can be gained, I have always had difficulty locating a book to recommend to those unfamiliar that outlines the principles upon which the Dynamic Neuromuscular Stabilization approach lies. I am aware that Pavel Kolar will soon be releasing an English version of his text in the near future, but until now, the majority of information pertaining to the principles behind DNS seem to only be found in the literature, book chapters, blogs and websites. Having just read Evan Osar's new book, "Corrective Exercise Solutions to Common Hip and Shoulder Dysfunction" I thankfully can now recommend a resource that introduces and incorporates principles inherent within DNS (amongst others) to many of my colleagues. "Corrective Exercise Solutions" is divided into three parts; an introduction, identification/assessment, and corrective exercise solutions. Part 1, Introduction to Movement: The Functional Elements outlines the theoretical background behind functional movement. In addition to a contemporary rendition of biomechanics and kinesiology (contemporary meaning it is likely a different version than what you learned in school) Osar describes the ontogenesis (development from birth) of human movement, joint centration, and stabilization-dissociation (aka Joint-by-Joint). Part 2, Identifying and Assessing the Hip and Shoulder Complexes utilizes three chapters to describe, again from a contemporary viewpoint, normal hip and shoulder mechanics, dysfunctions, common injuries and finally, simple ways to assess each region. Lastly, Part 3, Corrective Movement and Exercise Progressions formed the second half of the book and introduced the theoretical rational to and foundation behind corrective exercise, as well as the key patterns and movement progressions for both the upper and lower extremities, naturally focusing on the shoulder and hip. The book is rich with images, not dissimilar to Elphinston's "Stability, Sport, and Performance Movement", to ensure that the reader accurately conceptualizes the content within the written dialogue. Additionally, throughout the book, "Keys to Success" bolded text boxes provide the reader not only with summarized key points but also with related and clarified concepts that may just challenge the readers' traditionally held beliefs. And, although some of you may or may not use the exercises recommended in the text, you certainly will gain a better appreciation for the importance of ipsilateral and contralateral patterns when prescribing exercises. Finally, I must be clear. This is not a book from Prague. It is also not a book containing DNS exercises. What this book is, however, is a resource that seems to hold DNS principles at its core combined with influential ingredients taken from the likes of Diane Lee & Linda-Joy Lee, Vladimir Janda, Shirley Sahrmann, Gray Cook, Mike Boyle and others. As many of you know, much of the content on this blog is influenced from a conglomeration of resources and therefore, "Corrective Exercise Solutions" resonated very well with me. For those of you that choose to read "Corrective Exercise Solutions to Common Hip and Shoulder Dysfunction", my guess is that you also will likely take kindly to Dr. Osar's integrated approach as well.